Finishes always make us happy. One thing checked off the to do list and gorgeous art for our homes or gifts for friends and family. What’s not to love? Allow me to share two fab finishes by Catherine. The first is Maggie’s Give Love Love Big. 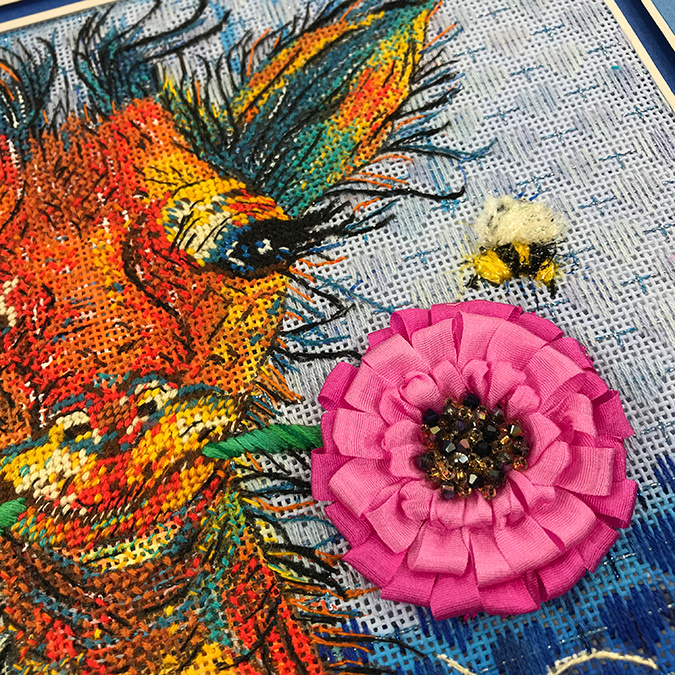 I wrote this guide for one of our embellishment classes and love every inch of how it turned out. the fuzzy bees, the big flower and the eyelashes. SWOON! Here’s the link if you would like to order a canvas, guide or kit. 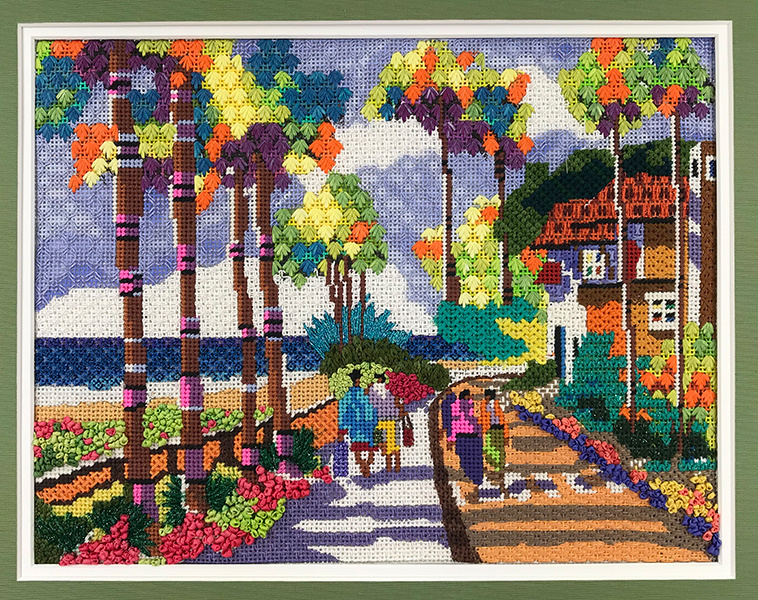 Palm Beach Morning by Purple Palm Designs is another fabulous finish by Catherine from an Embellishment Class but this time with a stitchguide by Mary Legallet of WhimsicalStitch.com. This one is painted on 13ct, but look at all of the fabulous details. If you would like a canvas, guide or kit, here’s the link. 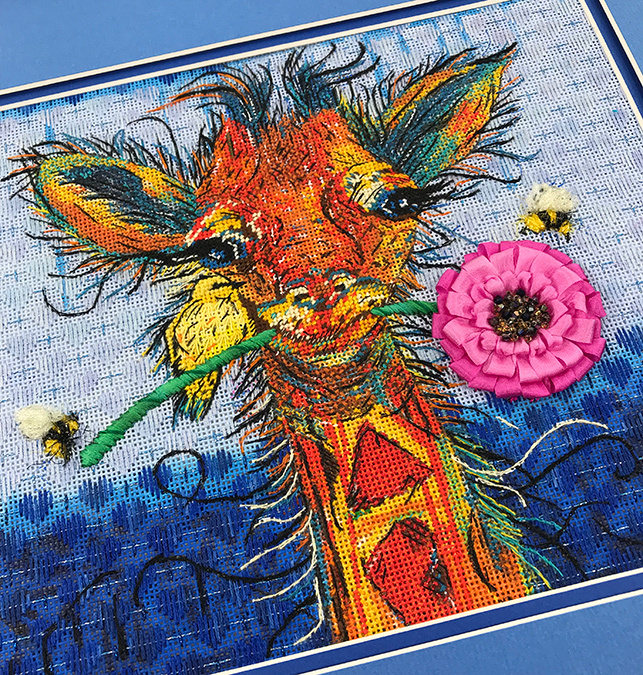 Embellishment classes are a great way to get a stitchguide for that special canvas that you can’t wait to stitch. 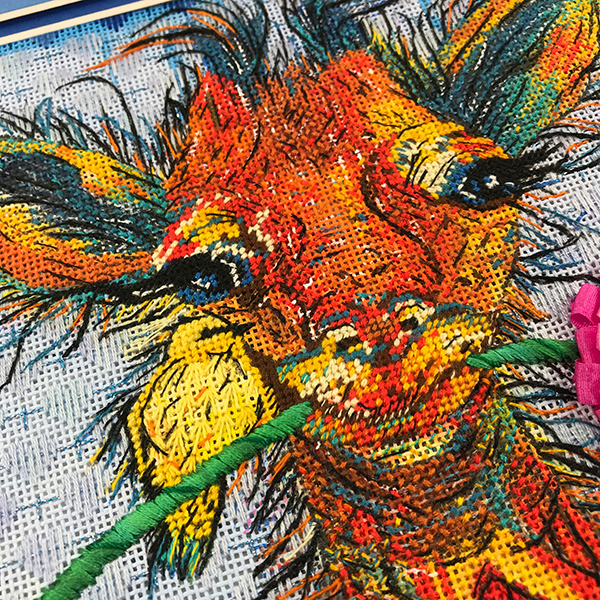 Mary Legallet of WhimsicalStitch.com will be here July 12-14th for an embellishment class and we still have a few spaces left. Here’s all the details. If you would like to sign up, give us a call very soon as canvases need to be in Mary’s hands post haste. My next embellishment class in May is full, but I will be doing it again September 20-22. Check your calendars. I have a few spaces left for anyone who hasn’t taken a class with me or at least hasn’t in a very long time. LOL. These spaces are going to go fast. 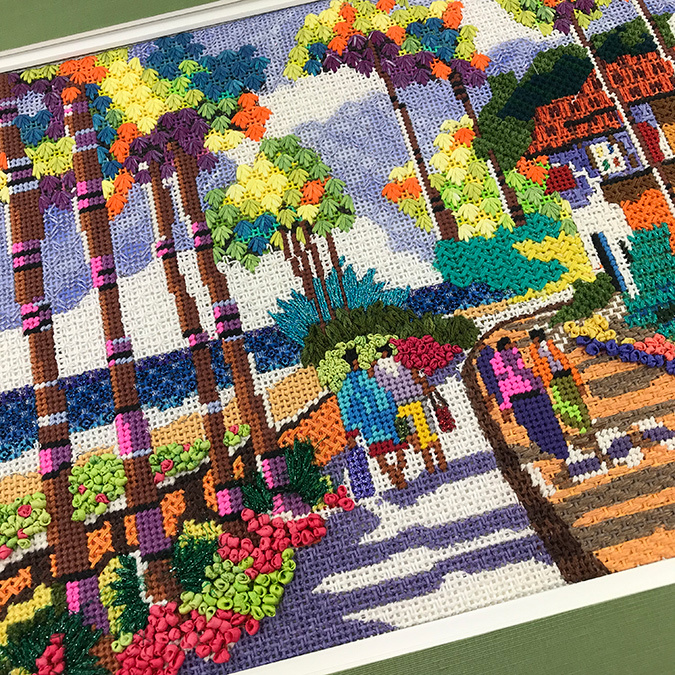 Thank you Catherine for allowing me to showcase your beautiful stitching.